i check who looks at the blog…i like to see where everyone’s from. the blog world truly amazes me. i want to give a quick shout out to japan. there’s someone in japan who looks every week. there’s someone in the state of georgia who keeps up…new york…germany, and all the rest of you… i just want to take a small moment to say thank you. it’s evolved, it’s evolving… don’t believe me, go back to the first week and tell me we haven’t morphed. and that’s in large part due to you. the feedback, the mood of the people i meet on the streets. i love getting letters that i made someone’s day, or that they didn’t think they liked how they were looking till someone put a camera in their face, said smile, i’m putting your style online. here’s to a 1100 views during the month of july. that’s a record. and i really do humbly appreciate it. 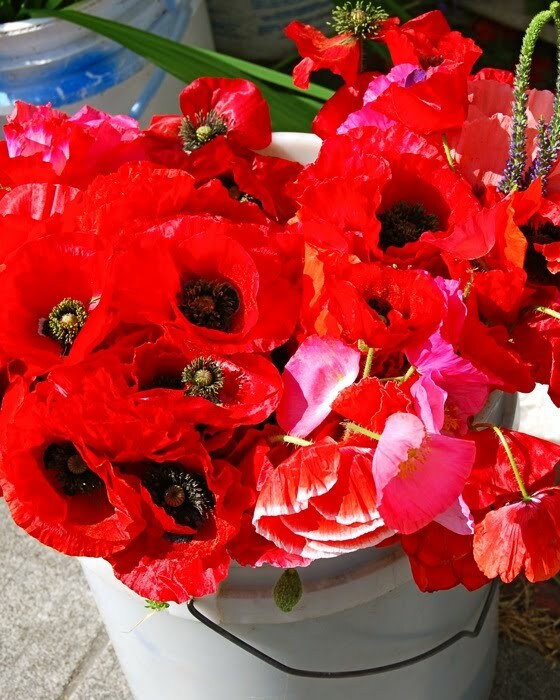 *poppies from the fremont market- summer 2009.